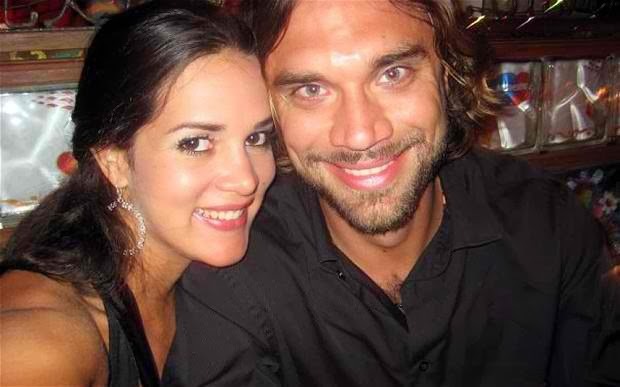 Shocking news hit the Venezuela country as Former Beauty Queen Miss Venezuela 2004 and Soap Opera star Monica Spears and her British Thomas Henry Berrypartner were fatally shot or killed in apparent botched robbery. The couple were killed or shot in front of their five-year-old daughter Maya Berry Spear, who was shot and got wounded in the right leg. It seems like robbery and killing in Venezuela is continuously rising, so I hope the authority in Venezuela must make a an immediate action to solve this crime. Monica Spears was 29 year old and Thomas Henry Berry, 39. Here's the photo of the couple from their facebook account.